35 years ago today, Prit and I made the most monumental decision ever that would completely alter our future. 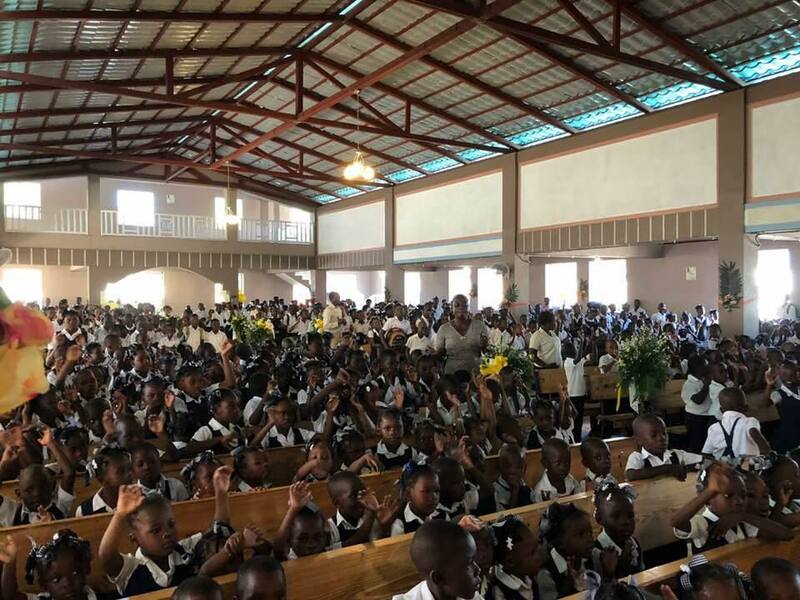 We moved to Haiti to teach in a Christian day school in Port-au-Prince, Haiti. We lived in Port-au-Prince for five-and-a-half years, then moved north to the old colonial capital of Cap-Haitian where we have been ever since. Here, we planted our first church and started raising up disciples. We now have 5 churches, 3 schools, a Bible institute, and are feeding over 1,000 students, staff, and cooks. We have started the grassroots of a Professional School and have sewing classes in progress. We are also sending two young men to the university in Limbé to obtain a 4-year degree; one in Agronomy and the other in Music. We give thanks to the Lord, first and foremost, for bringing us through some pretty heavy-duty trials and, secondly, our family and supporters who have believed in us all these years. This is a pretty special week of remembrance! In addition to that, a group of 17 folks headed up by Orphans Promise, will be flying in to help us dedicate our brand new church building. We’ll have more pictures of that later. As we made our 8-hour journey from Port-au-Prince to Cap-Haitian on Saturday, I was reminded at several points of how the Lord had miraculously delivered us out of the hands of others who meant us harm. I will have to share that with you in another post, for they are many. Meanwhile, we know we didn’t walk this journey alone. The prayers of family, friends, and supporters sustained us all along the way.